On the road to Ingleton, Yorkshire. Beautiful B&W image. The road leads you nicely through the scene. It is a delight to view this image. An excellent landscape that look s great in B&W. I can't add a thing - agree completely with the other comments. I can say that I really love this image - so rich in detail and mood. I love the tree. Wonderful image. Magic composition, everything works so well. fabulous, got to fav this one it is beautiful. 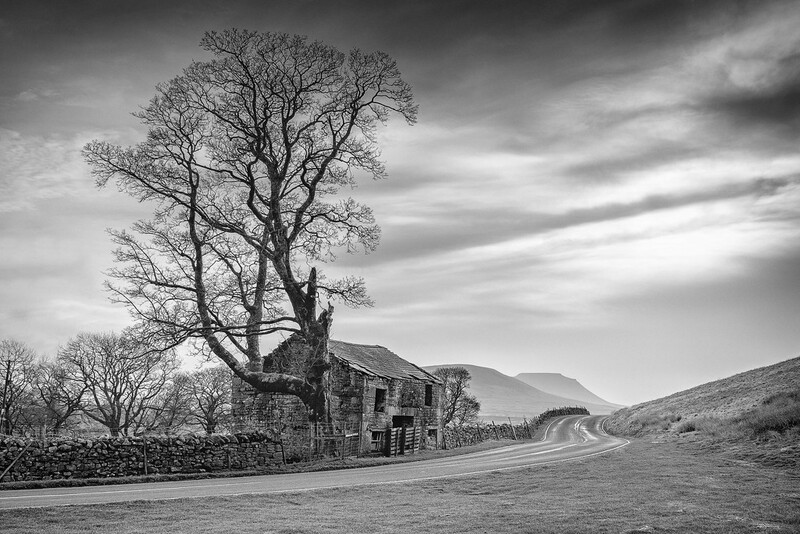 This captures the feel of the area so well, it takes me right back to the trips I've had around the Dales. Beautifully done. Congratulations to you, Lee, on the number one spot on the top twenty! @annied @gardenfolk @tonygig Thank you for letting me know. No1 spot, how chuffed am I.
Super in b/w. Love the composition with the road winding on making us want to see more. Congrats no1 and well deserved for this great shot. Congratulations Lee on this beautiful image being the Top of the Top Twenty! It is very much deserving! FAV! Magnificent! Wahoo on the top 20 too. Fav.